Courtyard dining at Provence Restaurant in Grace Bay. This elegant casual French restaurant is found in central Grace Bay at the Le Vele Plaza and features comfortable indoor and courtyard seating. Open for breakfast, lunch, and dinner, and vegetarian friendly dishes are available. 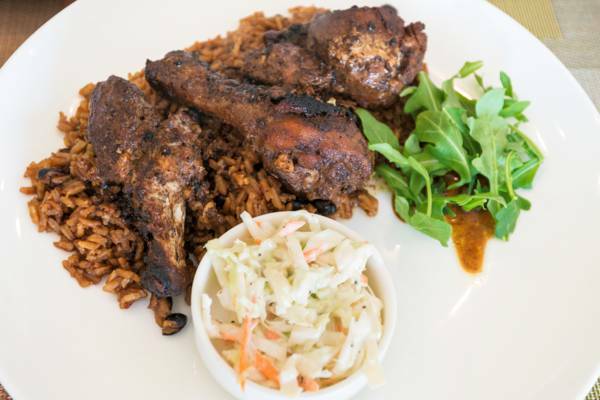 Jerk chicken at Provence Restaurant. Last reviewed by an editor on 19 June 2018.